How does meditation break the cycle of overwhelm? Join me for a conversation about practicing meditation. 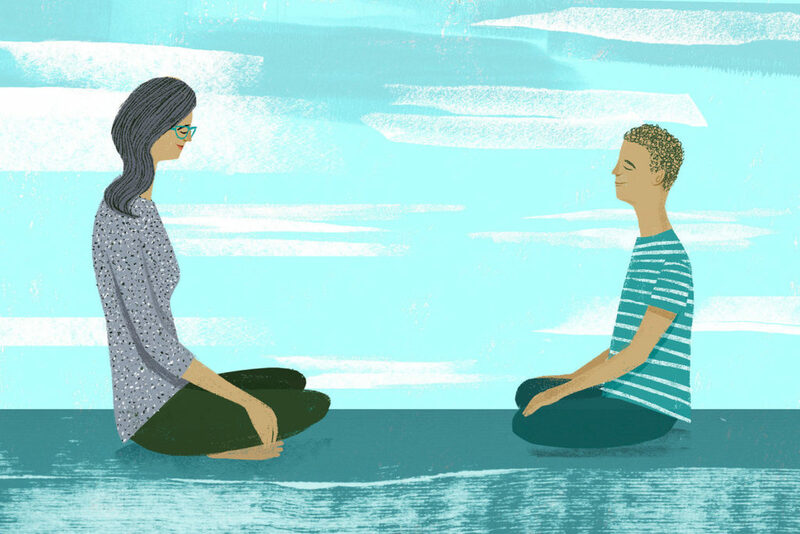 Meditation may be the most effective way to change your experience of stress. It provides a way to shift out of survival mode into thriving. To move out of a constrictive, defensive approach, into a more expansive, proactive approach. The reason meditation is so effective is because it works directly with your mind… the part of you that perceives situations – either as threatening or alternatively, as growth promoting. Meditation is a simple and gentle way of working with your mind – softening it and strengthening it, so you have a wider, more resourceful perspective for dealing with challenges. If this is your first Heroic Leadership program, you will receive an email asking you to confirm your registration. Click the link in the email to confirm your registration. You will then receive an email with the phone in details for the program. Andrea M. Winn, MEd, is a heart-centred business woman and contemplative mystic. She was brought up in a Tibetan Buddhist community and has been meditating for over 40 years. She joins this extensive meditation background with traditional business training and a Masters of Education in Counselling Psychology in a uniquely playful and synergistic approach for coaching business leaders.